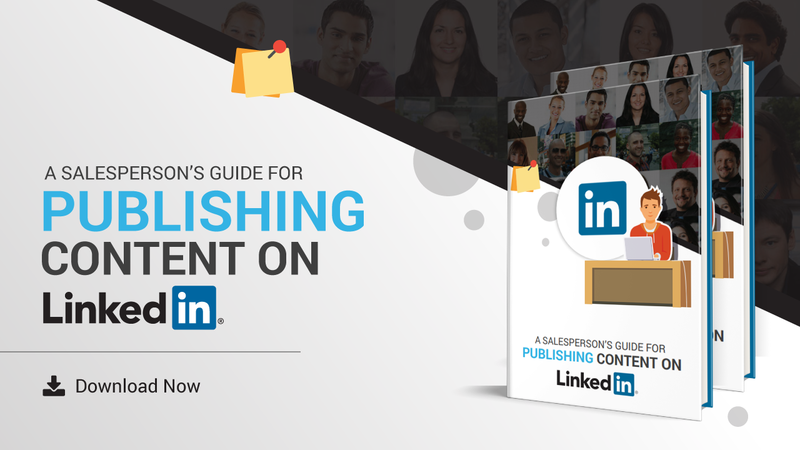 A casual glance at LinkedIn will show countless articles about how the world of sales is changing. Lot’s of this contains speculation that in 5 to 10 years, the role of the everyday salesperson may be replaced by Marketing or AI. This may or not be true, but as salespeople, we must constantly improve or be replaced by someone or something better. 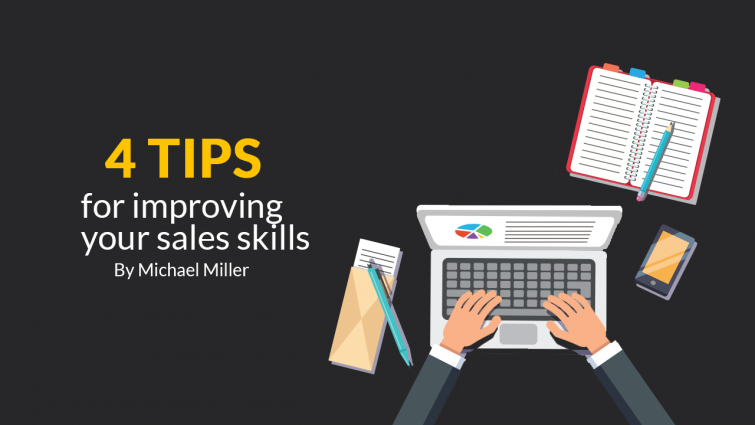 So, here are 4 tips to Improve our sales skills. Back when I was in competitive swimming, my daily goal was to be better than I was before. Even if I could shave a half a second off my speed, I knew I was spending my time wisely. As a salesperson, I track my day by breaking my day into smaller blocks that I can examine and then measure. For example, my mornings are pure prospecting, so first I build prospective client lists, then I email/socially engage/cold call them (I switch up the order of these depending on the person). How quickly I can do this makes a huge difference on how much I can get done in a day. I don’t believe in multitasking, so my phone is always off, noise cancelling headphones on, and I use a technique learned in college where I work straight for 50 minutes, then take a 10-minute guitar break. Mixing hard work with something creative helps me stay loose. Every day I try to get quicker at this prospecting, learning several shortcuts in Sales Navigator and Discover.org really help. Another area I track myself is in the discovery call. Look at Gong.io research, and you will find a specific time for a discovery call. Measure yourself either with a clock or record a call and see how long and where the meat of the call was. Try to come up with a sales rubric that works for you. I have a friend I work out with several times a week. Unless my legs are broken, he makes sure I show up and give it my all. I do the same for him. We hold a mirror up to each other so that we don’t slack. In sales it helps to have this, someone who knows our sales rubric, knows our goals in terms of production and also can also offer advice and encouragement when we fall behind. Try creating a coffee group that meets, either in person or virtually. Have your numbers ready, and be open to advice. It can be uncomfortable at first but after awhile you will savor that time because you know it is making you better. About two years ago I changed the battery in my car, and surprise to me, my car has a switch that kills the radio if the battery is removed. It’s an easy fix, but still to this day my car has no working radio. I did this because after a week I saw a tremendous boost in my creativity and output without my radio. I listen to podcasts, make my cold calls, or just sit in silence. I would never have guessed this, but it’s made me really examine my “free” time during the day. Where is a time where you could replace some unexamined time with productivity? Taking the bus everyday when I lived in Portland gave me 45 minutes where I could write for my blog. Carry a small notebook and break your day into 15 minute blocks, every hour look at the time you spend doing everything. Still standing in line at Starbucks is a time waste because with the app you can order your coffee ahead of time and have it paid for and waiting for you. Bam, there is 10 minutes a day you have for something else. I know, you have to keep up with the endless stream of information, but after checking Facebook, Instagram, LinkedIn, Snapchat, you probably have blown an hour each day minimum. I give myself the gift of looking at all that while I’m at the gym, then the phone goes in my briefcase and only my emergency contact people can get through. I once watched a young CEO miss some key points in a sales meeting while on his phone and I knew I had done the same. A phone is a tool, it’s not a game. I use it and then I put it away and give my clients, my business and my family the gift of my full attention. Sales is not easy, it takes everything we have just to tread water in this changing landscape of business. However, if every day we commit to being just a little bit better, we quickly see the results in our productivity and our paycheck. When you see that check you will thank me.